And Apex Gets You Paid Fast! Thanks for using NextLOAD, our free load board. It’s the fast and simple way to find the best loads for your trucking company, but there’s one big benefit of booking loads with NextLOAD that you’re missing out on. It’s checking credit on your customers! 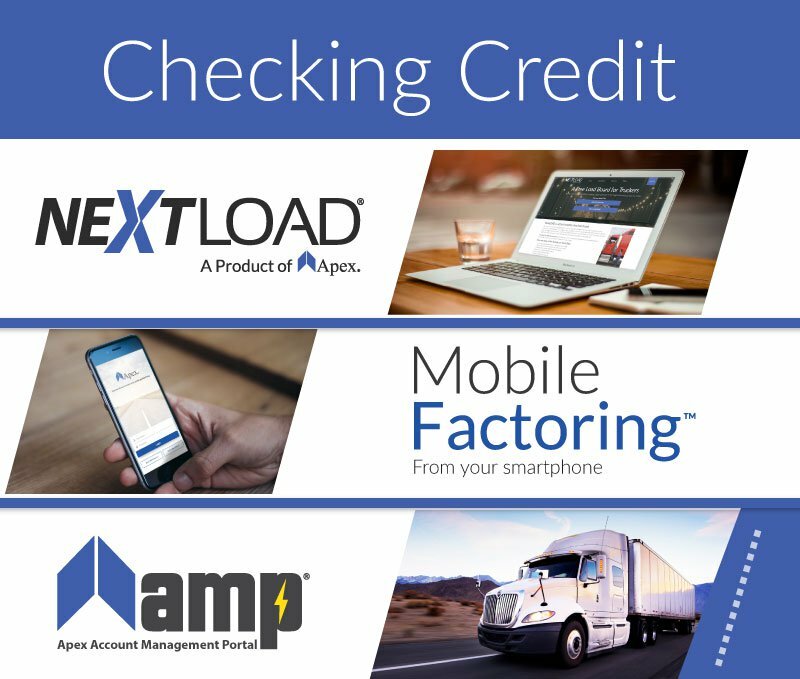 NextLOAD shows Apex factoring clients credit information on their customers and automatically runs a credit check on new or potential customers – saving you time and stress. Factor your freight bills with Apex and you’ll save time and stress. We help with more than credit checks. The benefits of factoring with Apex helps you manage your cash flow and gets you paid on the loads you deliver the same or next day. Freight factoring keeps the cash flowing so you can keep hauling.